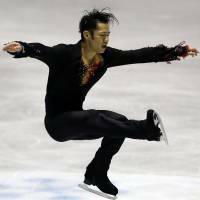 Daisuke Takahashi came from behind to win the men’s singles on Friday night to keep Japan in the hunt for a medal at the World Team Trophy. 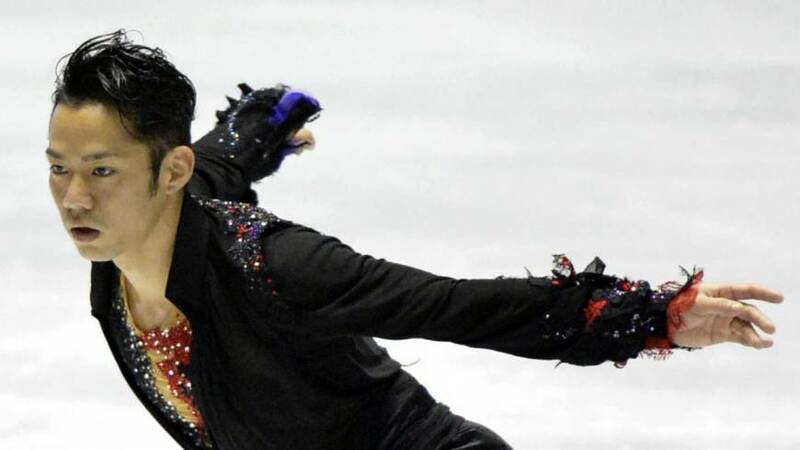 Despite making several mistakes in his free skate to “I Pagliacci” at Yoyogi National Gymnasium, Takahashi prevailed after three-time defending world champion Patrick Chan of Canada suffered a complete meltdown. 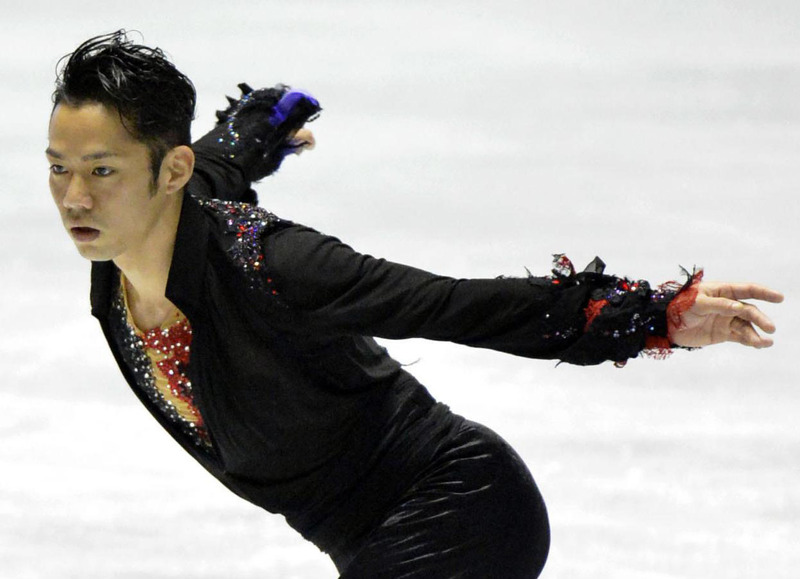 Takahashi touched the ice on his opening quad and botched the back end of three different combo jumps in an uneven performance, but still put up solid numbers based on his technical elements and presentation to top the podium with 249.52 points. Chan had an auspicious start to “La Boheme,” landing his opening quad toe loop/triple toe loop combo, but then proceeded to fall three separate times and make several other errors on the way to finishing second with 240.21. Chan’s compatriot Kevin Reynolds came on strong to finish third with a total of 237.65, moving up from ninth place after the short program. 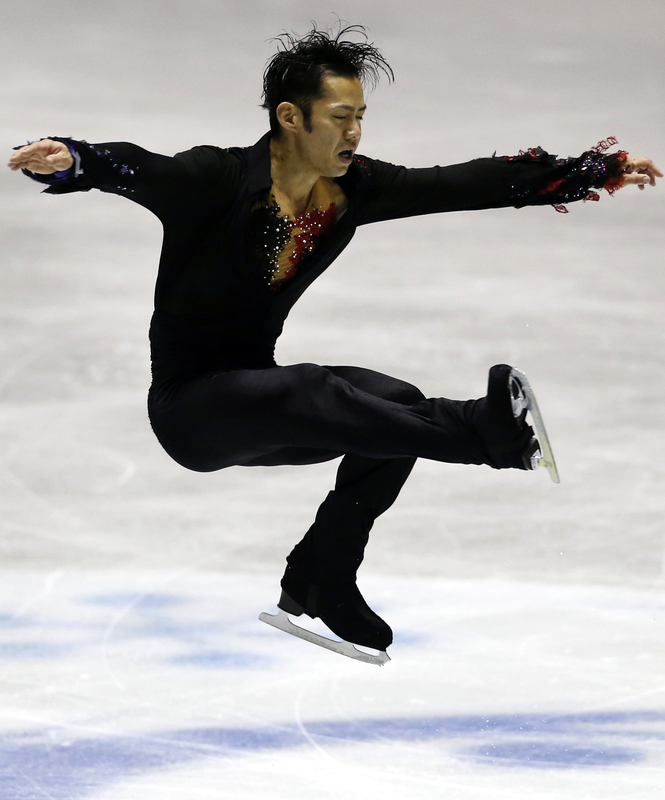 Takahito Mura (233.68) came in fifth. Takahashi’s victory gave the defending champion 48 points, putting Japan in third place in the biennial six-team competition with one day remaining. The United States leads with 55 points, with Canada in second with 50. Japan’s chances of retaining its title have been hurt by the lack of an entry in pairs. Narumi Takahashi and Mervin Tran helped Japan win the title last year, but split up earlier this season in the wake of her shoulder injury. Chan implied that fatigue was a factor in his poor performance this night. 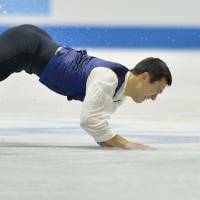 Russia suffered a blow to its medal hopes when Konstantin Menshov, who was third after the short program, fell on a jump in his free skate and dislocated his right shoulder. The injury forced Menshov to withdraw and he was then taken to a hospital for treatment. Russia is currently fourth with 42 points. Madison Chock and Evan Bates gave the U.S. victory in ice dance with a total of 164.91. The duo retained their lead after Thursday’s short dance and prevailed over Canada’s Kaitlyn Weaver and Andrew Poje (160.08) by nearly five points. Russia’s Ksenia Monko and Kirill Khaliavin (149.27) took third. Cathy and Chris Reed, skating for Japan, were fourth on 141.75. Russia’s Tatiana Volosozhar and Maxim Trankov claimed the lead after the pairs short program with 74.41. Canada’s Meagan Duhamel and Eric Radford are second with 69.94, while Vanessa James and Morgan Cipres of France (58.73) are in third. The World Team Trophy continues on Saturday with the free skate in women’s singles and pairs. Russia’s Adelina Sotnikova leads the women’s singles after the short program, with Akiko Suzuki in second. American Grace Gold is third, while two-time world champion Mao Asada stands in fifth. The event concludes on Sunday with the exhibition gala.